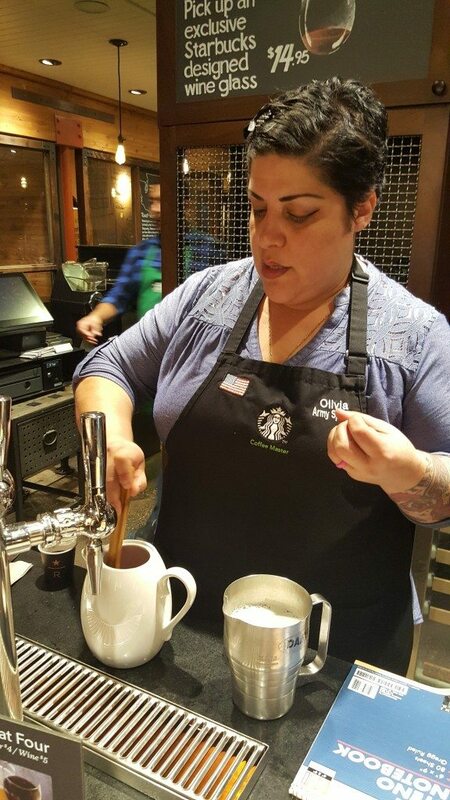 Please join me for a coffee tasting at East Olive Way Starbucks. I want to invite you to attend a coffee seminar. 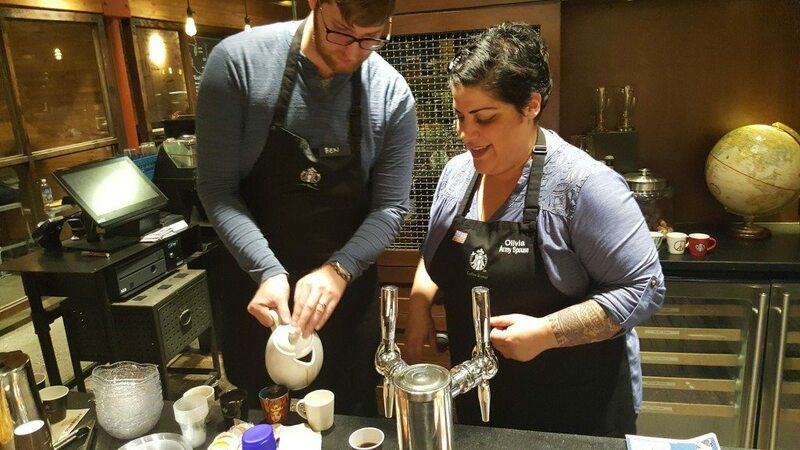 The East Olive Way Starbucks has regular coffee seminar events, on Monday nights, at 6:30 PM. It’s a chance to taste coffee and learn more about the world of coffee tasting, food pairing, and all things coffee education. You’ll find the East Olive Way Starbucks at 1600 East Olive Way, in Seattle’s Capitol Hill neighborhood, near the intersection of Olive Way and Summit Avenue. The phone number is 206 568 5185. The store will adjust the coffee seminar schedule, as needed based upon partner availability and other factors, so you might want to call and confirm the tasting that you want to attend. 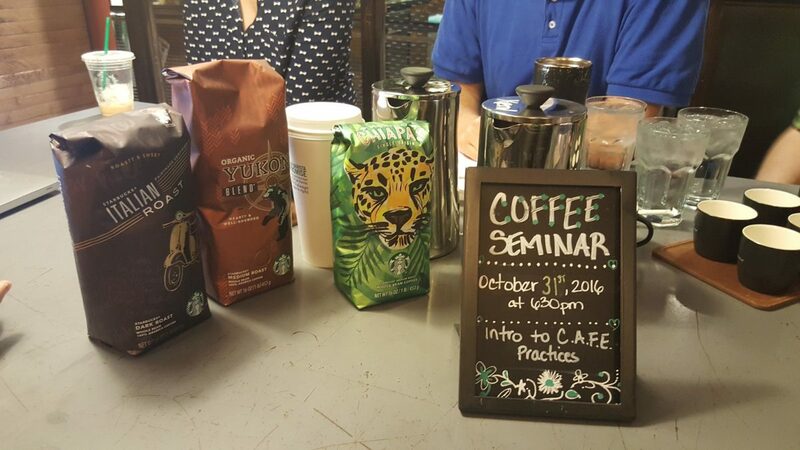 Recently, store manager Ben gave a seminar on CAFE practices: (Starbucks ethical sourcing guidelines). 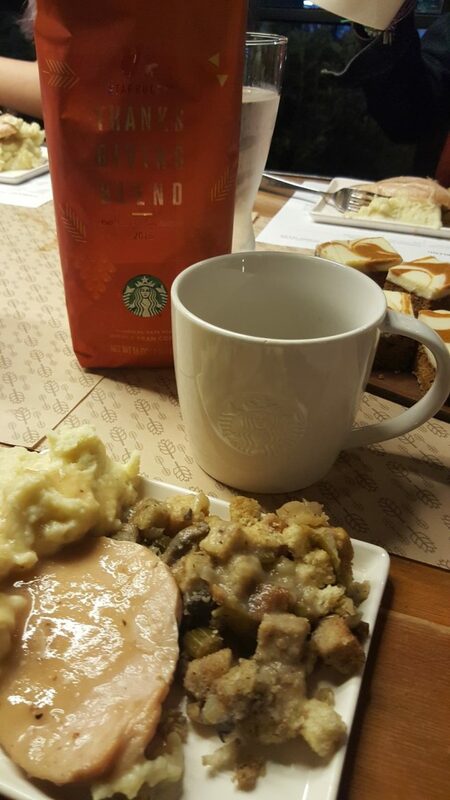 Coffee Master Megan cooked an entire Thanksgiving dinner to pair with Thanksgiving Blend! I hope I’ve persuaded you to come join me at an East Olive Way coffee tasting! Megan’s homemade stuffing was out of this world! Starbucks collectibles on display at Seattle's MOHAI museum. 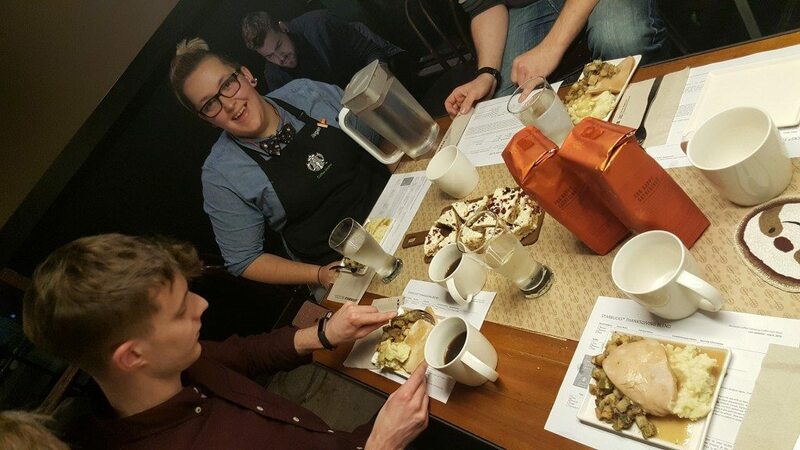 Starbucks Christmas Reserve: Cliff recommends it as an espresso shot. Well, it's all around amazing. Annual September 9th roundup. Thank you.